In my previous blog post I talked about both powerpoint assignments, so this time I will talk about my excel experience. I was not previously very knowledgeable in Excel and I missed last class when we learned about it, but I was able to figure a few things out on my own and my roommate taught me a few things as well. It’s really helpful that excel calculates the answers of many different types of equations. It can make inputting grades and calculating the final score or percentage a lot easier and faster. I think it was very interesting to research and read from my classmates’ blogs the different types of technologies that can help students with disabilities in the classroom. These technologies can help all students to actively participate and understand the information better. It was also interesting to read that many of my classmates enjoyed learning about and using Inspiration. I think it is an effective and entertaining way to teach students and can be used as a creative project or preparation for an essay. 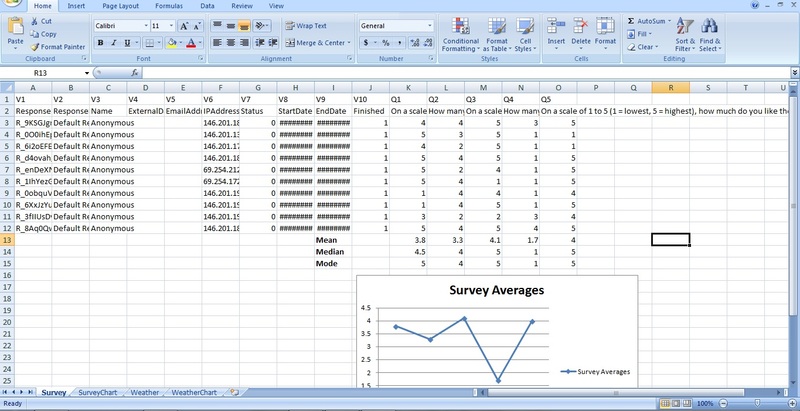 I would like to continue learning what else Excel can do. I only really know how to use certain formulas and make charts/graphs. I would also like to learn about more adaptive/assistive technologies that can help more students to learn in the classroom. It is very important for every student to see, hear, and understand the curriculum. I’m not sure if these types of technologies are already accessible at school for students with disabilities or if it is up to them to find and bring these items. I would like to see the school have in place various assistive technologies to aid all types of students, whether it be someone with dyslexia or someone who is blind. I don’t have a lot of future educational technology-related goals, but I want to continue to learn about and utilize the new technology that is constantly being developed. I don’t want to be left behind in my own technological era. I want to be able to really help my students when they are having problems with the textbook on their iPad, or whatever the situation and technology might be. I also definitely want to have a class website when the time comes; so I would like to continue to learn how to code my own website in order to make it exactly the why I want it to look and to make it suitable for my class and the parents. What is a digital textbook? It is a textbook that can be accessed by computer-based technology, such as a computer, iPad, or e-reader. *Elementary Math classes can use the Math Quizzer app to learn, practice, and improve their skills in addition, subtraction, multiplication, and division. Students are asked to use this app on their devices at home for homework and studynig and during the class lesson. The teacher provides a “Try It Yourself” time in between teaching the different topics, which allow students to take a break from just listening to the teacher and have the opportunity to see if they have learned a particular skill. I would give my students time during the lesson to practice each skill anyway, but this app gives the students a more interactive experience. I might also want to make it a class game and divide the room in half, so they can play against each other and learn along the way. *In order to teach elementary school students about the different parts of a story and how the relate to each other, teachers have used the app “Toontastic.” This app allows students to create their own story and share it with friends and family. The lesson starts out with teaching or reviewing the elements of a story that are found in the app, then the student can create a story. Students share their story with other classmates and are asked to retell their classmate’s story and maybe answer a few questions. I might also create my own story as an example to show students both how to use the app and what the different sections of a story are. *I know how to use an iPad, the app store, and how to connect an iPad to a computer or television for a larger view. However, I think I need to continue researching the different ways I can incorporate the use of an iPad into lessons to keep instruction interesting and interactive. I enjoy iPads for personal use and understand their practicality and usefulness in a classroom; however, I still don’t think they should replace paper textbooks. I like the fact that iPads elminate paper, but if students lose and damage textbooks it will be much more expensive to give them all iPads. I think that it is also a lot easier to break an iPad and there could be wasted class time due to technical difficulties. I think that the paper vs. digital textbook debate does not have a right or wrong answer. It is based on personal preference. My personal preference is a paper textbook, but I understand the advantages of digital textbooks. Maybe I need to have my own iPad in order to fully understand its various uses and how it could improve classroom quality and participation. I think there are more advantages than disadvantages to using presentation software in the classroom. Presentations benefit both the speaker and the audience. The speaker can use the presentation as notes to guide their lecture/speech. The audience can look up at the screen to catch material they missed as well as to write down the key facts from that slide/topic. The only disadvantage I could see with a presentation is that some people might read ahead on the screen and not pay attention to what the speaker is saying. So to solve that problem, I would hide the later information/points until the speaker is ready to talk about them. This way, the audience doesn’t jump ahead and/or miss something important that the speaker said and the speaker can stay on topic and follow the order of points they originally set. The digital divide is the divide between those who do and don’t have access to technology as well as the knowledge and skills of using various technologies. Students who learn how to use technology, especially computers, early in life will have confidence and more job opportunities, while those students who did not have access to computers could have a disadvantage later in life. Jobs in technology, like information technology, are growing, so it is important to provide every student equal opportunity to enter that work force if they so choose. As a teacher, you should provide class time to allow students to complete projects that involve using the computer as well as teach basic and necessary computer skills. I have been privileged to have as much technology as I have and to have grown up that way. I never had to worry about how I would complete my projects. However, there will always be students who may not have access to technology, even as technology increases over the years. So I will be sensitive to those who will not have access to a computer and provide alternative/additional ways to get the projects done. The digital divide is always a concerning issue. I imagine it will sometimes be difficult to make enough time for the computer lab to complete projects, but everyone deserves a fair chance to learn and to do their work to the best of their ability. Another issue regarding technology in education is online plagiarism. For high school, and maybe even middle school, students they can turn in their papers to an online site that checks for plagiarism. However, younger students do not necessarily know what plagiarism is and there is also not a very good/effective way to check if a student copied their project. Most projects are physical at a younger age; meaning they cannot be turned in over the internet, they are handed in in their physical form. It is important to teach students at a young age what plagiarism is, that it is illegal, and how to cite the websites they used (even if it has to be in a simple form). I think presentation software, like PowerPoint, is a great tool for teaching. It serves as a visual aid for students to look at and read if they missed something the teacher said. Teachers can choose what comes up on the screen at what time; so if they don’t want students reading ahead they can prevent the next set of information from showing up on the screen. Or teachers can put a question on a slide to get a class discussion going and provide the answer later. 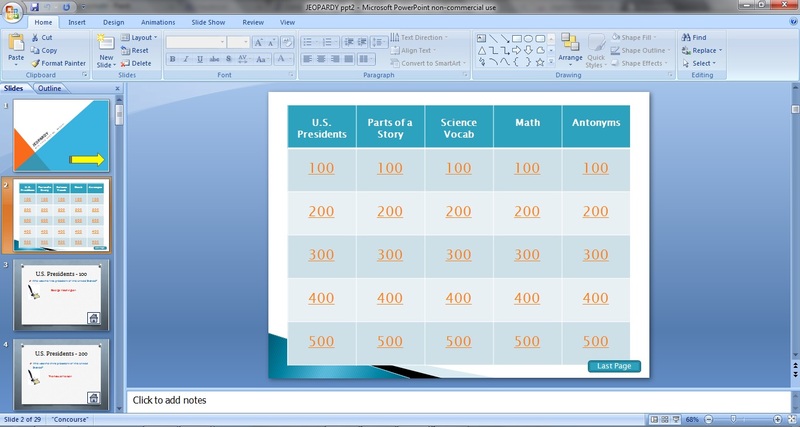 Presentation software allows teachers to display information in different formats. They can add videos, graphics, change the font color, and add effects. PowerPoint presentations are also good for student projects. PowerPoint is easy to learn and is a great way for students to connect ideas and show their understanding of the information. Studies have also shown that the act of organizing information or seeing information presented in an organized manner helps students learn more efficiently. I am also a fan of Prezi, which is a more entertaining presentation and is online and free. It might be a little more difficult for younger students, but it is great for teacher lectures and middle and high school student projects. Every teacher will have a student with a disability during their career. It is important to understand the various technologies that can help all students to learn, participate, and understand the information and tend to each student’s individual needs. This technology is called adaptive or assistive technology. The Americans with Disabilities Act says that no one can be discriminated against because of his/her disability. Teachers must (and should want to) make accommodations or adjustments for students to reach their full, learning potential. There are alternative input and output devices, magnification tools, and so much more. Students with a learning disability or who are visually impaired can also get all of their course materials in a digital format that is read to them. Teachers should be aware of the different disabilities they could come in contact with and should definitely know all of the disabilities in their own classroom. 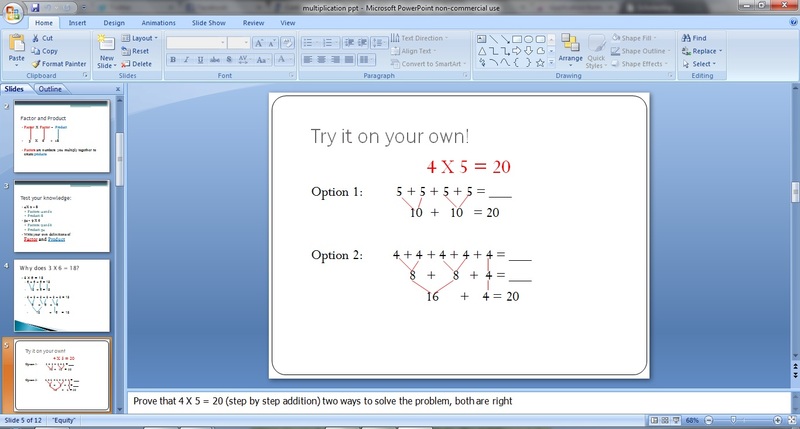 It is important for teachers to also be aware of how they design worksheets or display information on the computer. Some students might be sensitive to or cannot see certain colors, and students who have technology that reads their material for them will not be able to see graphics, so it would be beneficial for them to have alternative descriptions. Utilizing assistive technology, modifying instruction and materials, and learning about various disabilities does take some time, but it is all worth it when your students are able to reach their full potential. I took a web design class in high school, so I know how to write my own code using HTML and CSS or Dreamweaver. However, even though Dreamweaver is a great program that allows you to create any website design you can think of, it costs a lot of money. I enjoyed this week’s assignment because I enjoy any type of design and I liked that we were given a list of websites that help you to create a website for free. The simple drag and drop option on Weebly is very similar to using Dreamweaver, but is a little more restrictive. If you know HTML and/or CSS Weebly gives you access to the code, so you could go into it and change certain aspects if you wanted to. Or if you didn’t like a specific aspect of your page and don’t know HTML/CSS, you could ask Weebly employees for direct assistance. It was very easy for me to create and design my website and add information. I plan to use this web design site, or one similar to it, when I create the website for my future class. 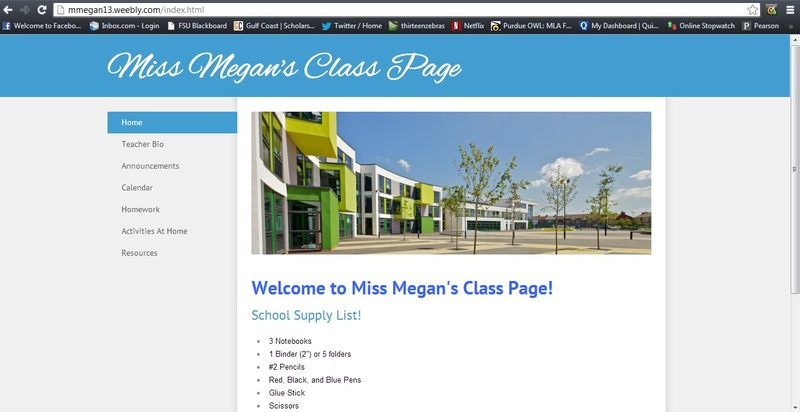 This is a layout for what a classroom website could follow. I will create and maintain a website as a teacher. I think that it is an easy and quick way to get information out to parents or give reminders to students. My teachers from elementary school up to high school in Virginia had class websites, but my high school teachers in Florida did not. In elementary school the class sites were attached to the school’s homepage and in middle and high school they used blackboard. I have had some teachers utilize their website to the fullest and others who only put their email address on it. I believe that I will add something to my website everyday in order to keep up-to-date information. I like that blackboard gives teachers the opportunity to have separate class pages, but it is more difficult for parents to see the information. If my future school does not use blackboard, or maybe even if it does, I will create my own class website. I think it is important for students to have at-home access to their homework assignments, important dates, and helpful resources in case they forget to write something down at school. Blackboard is great for teacher to student interaction; however, I also think that it is important for parents to have easy access to information. If they send an email or are waiting for an email update, it is not as timely or efficient as having a website that they can go to at any time of the day. In addition to having a website for my class, I also plan to utilize the myriad of resources for teachers online. I might follow or even write my own teacher blog. Following other teachers on a blog site or twitter can be beneficial when I have questions or need inspiration or creative ideas. On twitter I could follow other educational resources for quick updates on legislation or current hot topics. I also plan to use technology to help teach my students. I could use Prezi to present new information, or show my students how to use it. Prezi is a website that allows you to create entertaining and engaging presentations. I will also create projects for my students that are computer-based in order to teach and review a topic/subject we have been discussing in class while simultaneously teaching them vital computer skills. I know that more technology and resources will make its way to classrooms even before I graduate. I had never made a wiki before, so it was an interesting experience. I didn’t particularly enjoy the assignment and I do not think I will be using that tool in the future. I thought pbworks was a little difficult to navigate and understand. I also did not think the final products looked professional, nor do I understand how the site could be useful if not for a school assignment. Maybe a high school teacher could have his/her students do an assignment using pbworks, but I will not use the site for elementary school students. To improve the assignment for next time, I would like to suggest that the wiki project highlight how and why a teacher might do a wiki project in their classroom. Web 2.0 tools are new to education, but are a great use of technology in the classroom. I found a new tool that I had never heard of before. It’s called Padlet.com. You are basically given a blank “wall” or “board” that you can decorate and use for discussion or lecturing or to post messages. Although email or regular discussion boards on blackboard (or similar sites) could do basically the same jobs, this could be more entertaining for students. It’s sort of a combination of facebook and pinterest. They get to write on walls/boards and see their classmates’ comments. I think it is a good tool because students can have fun with their assignment as well as get input from their classmates even though they are in separate houses. Homework is usually an independent project to see how much the student understands and remembers; however, posts on Padlet allow students to interact and share their knowledge with each other from home. Right when I discovered Padlet, I started thinking of its many uses in a classroom setting. I thought of using it for a discussion where students can interact and debate or use it just for sharing opinions and/or ideas. Padlet’s homepage gives examples of ways the site can be used and I really like the idea under the “Teach” section. The example is a “Word of the Day” board where the students have to use the word of the day properly in a sentence. This could be a great way to go through a list of vocabulary words. It also showed that the teacher could comment on the board and say right away if the word was used correctly or incorrectly. This board gave me the idea that teachers could use this site for review or to introduce the next day’s topic. Padlet is very easy to navigate and to set up and use a board. I think Web 2.0 technologies are useful in the classroom; however, not every tool will work in every classroom. Some tools are more suited for middle or high school aged children. For instance, I would not use blogs in my elementary school classroom; unless it was my own blog for the parents to read. I would not ask elementary school students to keep up their own blog or twitter. I think at a young age students cannot handle large ongoing projects like those, but they can use those types of technologies. A classroom blog or twitter can be interesting teaching tools as well as ways to reach out to parents. The textbook mentioned email group projects, but I think that type of project is sort of outdated and not necessarily appropriate for all ages. Not every child has their own email address and it could take a while for emails to show up and students could be on at all different times. A discussion board allows students to leave their comment and/or respond to someone else and all of the posts are in one place rather than mixed in the inbox. I also plan to make my own website for the class so students have another place to check what their homework is and parents have a way to connect to the classroom. I didn’t particularly like the web hunt activity because I didn’t learn anything. I have grown up using google and other search engines to find information. I think the assignment could be more beneficial next time if it had multiple steps for one search rather than one step for multiple searches. Once we found, for example, an article on Christopher Columbus, we could have then been asked to find out if it was a good source of information. Also, although we discussed shortcuts for searching in class, I did not find it necessary to use them in the assignment. I think it will always be important to teach students how to search for information in an efficient way, but at an early age so that they can utilize their knowledge throughout their education.